The food and beverage industry has for a long time been controlled by producers but consumers have lately taken up more control of what they eat and thus controlling demand. This is a trend that has been happening in many countries including Singapore. Healthy eating has become increasingly popular in Singapore and it is one of the trends that prevailed in 2018 and it looks like it will also be a huge trend in 2019. It is also right up there with the call for better environmental practices. 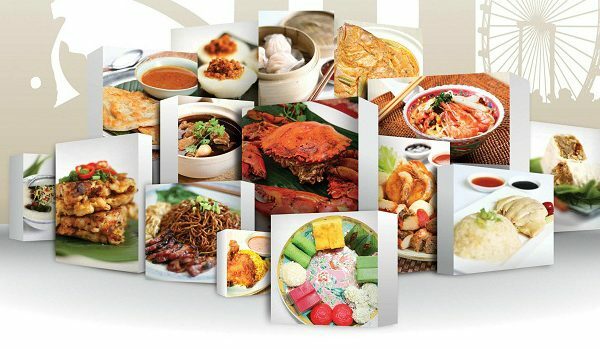 Below are some of the major trends that will likely dominate Singapore’s food and beverage practices. Many restaurants in Singapore complement the dishes on their menus with alcoholic beverages. However, it gets awkward for teetotalers (those that do not take alcohol) when they go to bars with their friends. Bars and restaurants are taking note and thus realized the need for non-alcoholic cocktails that will also be available for teetotalers. The trend has already given rise to drinks such as agua fresca, ginger ale, Kombucha, and no-alcohol spirits and Such drinks can also be offered at social events. Restaurants have been shifting towards the use of environmentally friendly packaging for their food and beverage products. This is in line with the increasing call for economic sustainability. Such a move creates a strong reputation for the business, therefore making it more attractive to customers. Anyone running a business in the food and beverage industry should, therefore, consider trying out biodegradable packaging or straws among other things. Many restaurants have started sourcing their raw products from local suppliers in line with the focus on better environmental practices as well as reducing costs. The cost of sourcing ingredients from foreign markets is high, thus the shift towards local produce. The transportation process requires the use of machinery and vehicles which run on fuel, thus polluting the environment. Meanwhile, most agricultural products in Singapore are not made using processes that are fertilizer-intensive and they are also not genetically modified. This is a good example of a trend that is not only good for a business but it also supports local suppliers. Most restaurants or fast food joints often have a popular dish or a few popular dishes that keep customers back. One of the latest trends particularly in the food industry involves trimming down the menu. Restaurants that are doing this focus on a few great dishes that are a hit with customers rather than providing many choices to their customers, thus making it hard for the customer to choose. Providing a smaller menu to choose from makes things much easier for customers. The focus on fewer items on the menu also makes it possible for a restaurant to achieve more efficiency by reducing the cost of ingredients. Having a smaller menu for your restaurant is just like offering specials to the customers to attract more customers. This strategic move may also help to regain customers especially when customers end up having a favorite dish. E-commerce was a huge trend in 2018 and it will also continue to be highly popular in 2019 especially thanks to smartphones. Online retail helps many businesses to reach a wider market. It has also seen the rise of fast-food deliveries but it is not necessarily a threat to regular brick and mortar restaurants. This is because restaurants can also take advantage of the online shift by introducing their own delivery option or even introducing a merchant payment option in their system that allows customers to pay using their mobile handsets. Digital payments reduce the average waiting time. Having an online payment option benefits the owner of the business by slashing costs that would have been used to employ extra labor. The business is able to keep up with the competition. The business generates more revenue through a wider online reach. More and more people are making the conscious decision to become vegan and thus the vegan community continues to grow. The demand for non-processed beverages or beverages that do not contain chemicals has also been on the rise. Food outlets have taken note of this. The best approach in this kind of scenario is to introduce vegan-friendly dishes and also non-processed or healthier drinks. Wang’s goal is to combine teas from Taiwan with his cocktail recipes. His cocktails have been rapidly gaining traction in Singapore, with some bars already adding tea-based cocktails in their menu. This trend is probably here to stay in 2019, thus providing a whole new option to explore. The focus on healthier living has clearly been shaping the direction of the food industry especially with the call for foods that have a smaller carbon footprint on the environment. A company called Impossible Foods believes that one of the solutions for the food industry is plant-based proteins. The firm has already developed plant-based meat which tastes like regular meat thanks to advanced food science. The company also claims that its plant-based meat offers the same nutritional value as animal meat. Impossible Foods also argues that its products are more sustainable, ideal for the vegan community and that they also have a smaller carbon footprint than regular meat. Impossible Foods launched in Singapore in March this year and are likely to become highly popular in the country’s food industry. The products have already been widely accepted in Macau and Hong Kong where they are available in many restaurants.